This string Snowman ornament is so cute. He is white with red trim and red buttons. 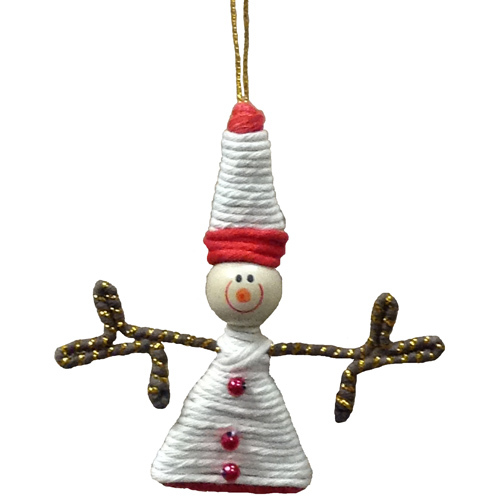 Put him on your tree and you will smile every time you catch him in your eye.